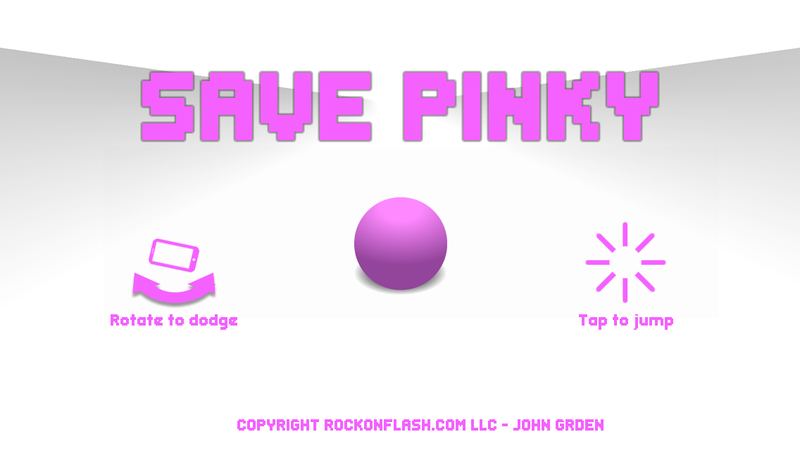 Save Pinky! 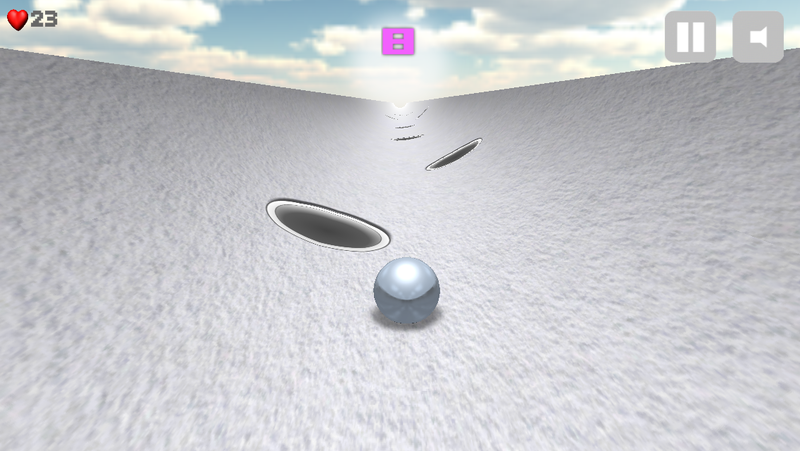 Now on Android! 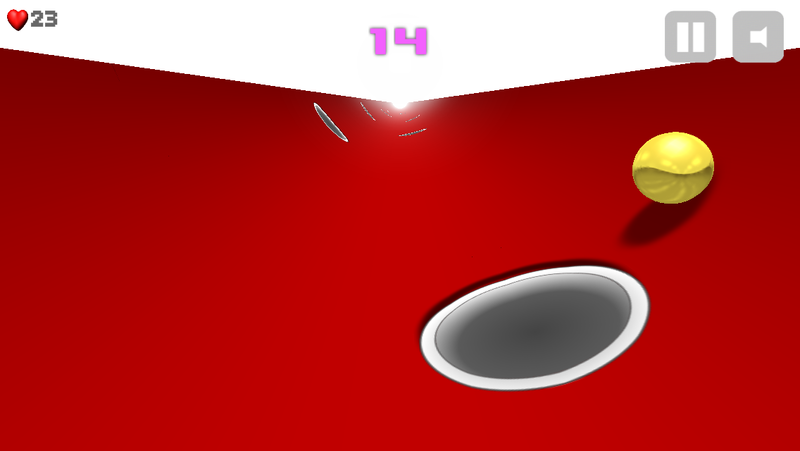 Save Pinky from the holes invading Pinky’s half-pipe home! How long can you keep Pinky alive?? 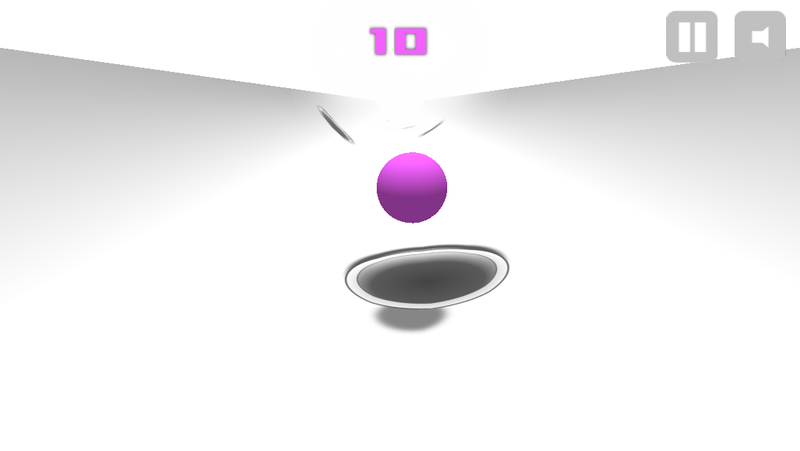 Tilt your device left or right to dodge the holes and tap the screen to jump! 2. 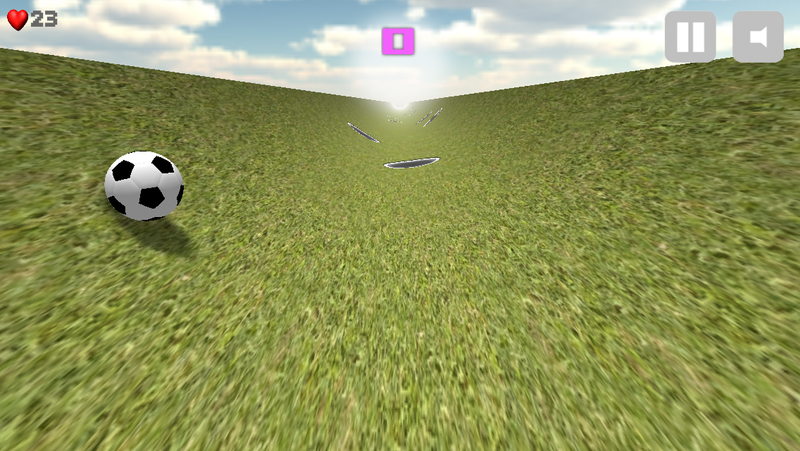 New Ramps! Wood floor, Street, Grass, Cobblestone, Sand, Snow, Streets of gold! 5. 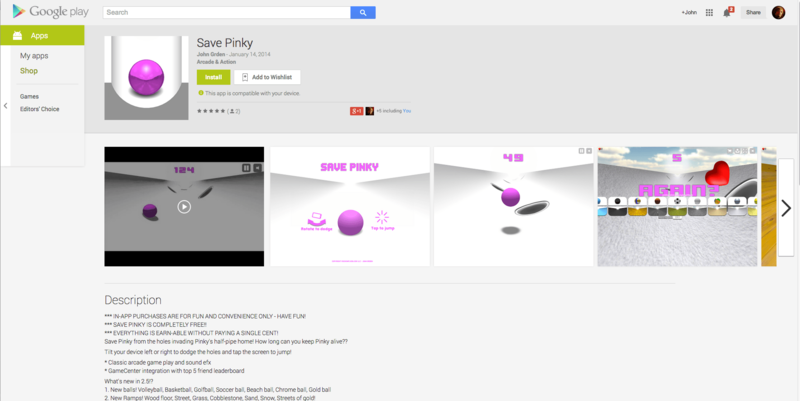 In-app purchases (for fun only, you don’t have to buy anything in Pinky EVER!). You can now get rid of the ads, buy all of the balls and ramps (good for future ramps and balls too) and buy revive hearts if you want them. 6. Updated leaderboard! – MUCH easier to read your friends and family scores! 8. 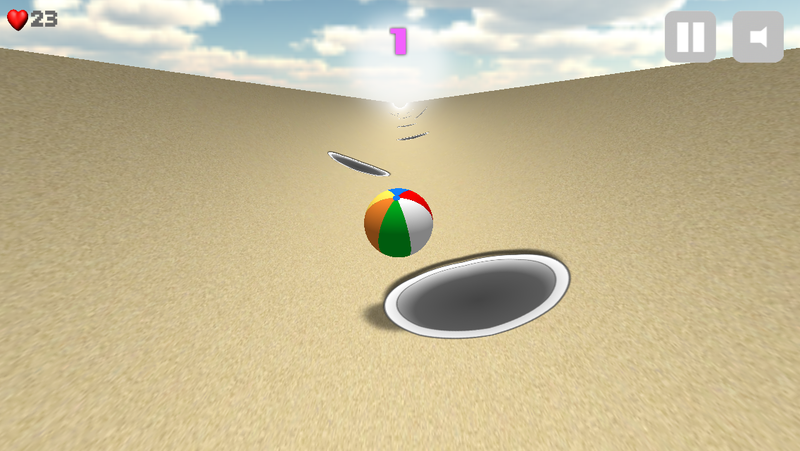 Removed trails from balls as they caused some performance issues on certain devices and I heard your pleas to have them removed, thank you for the feedback and ratings – I really appreciate it! Hi. 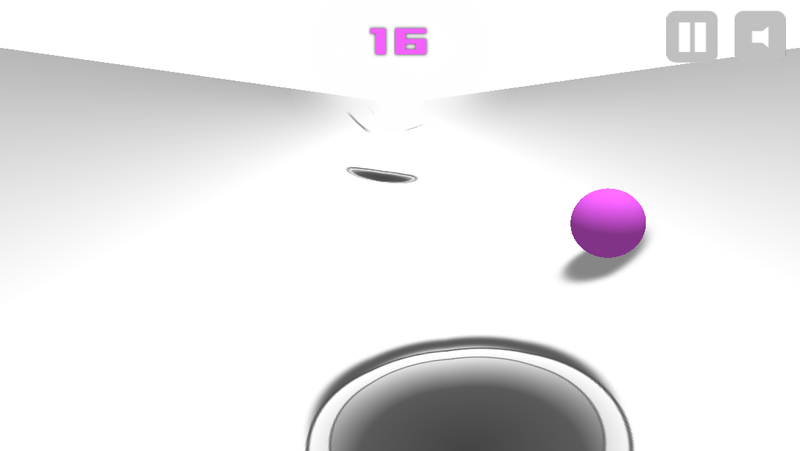 I cannot find another location to place a bug report for Save Pinky. I’m not a robot. This isn’t spam. Prove I’m human? pi is approximately the square root of 10. The capital of Alaska in Juno. I intentionally misspelled Juneau. Thanks for contacting me! What’d you find?